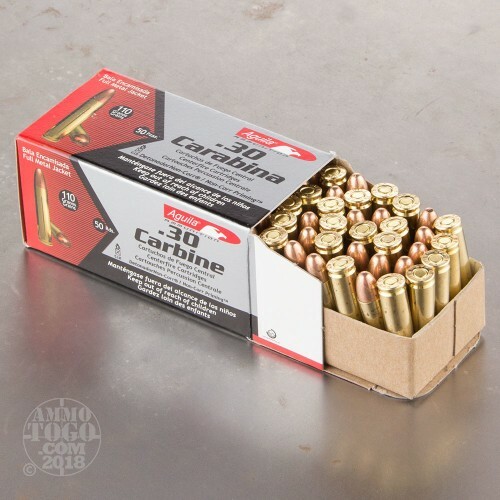 Brass cased, boxer primed, and non-corrosive these 50 rounds of .30 Carbine ammunition are manufactured by Tecnos Industrias, a Mexican manufacturing plant owned by Remington. Manufacturing to military, SAAMI, and CIP standards, this facility is the exclusive ammunition producer for Mexican military and law enforcement. 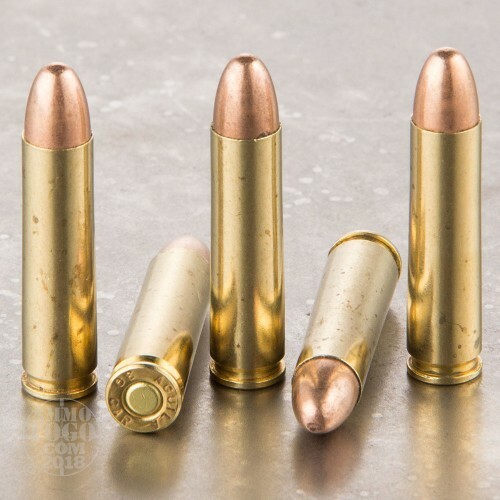 Each round features a 110 grain full metal jacket projectile. 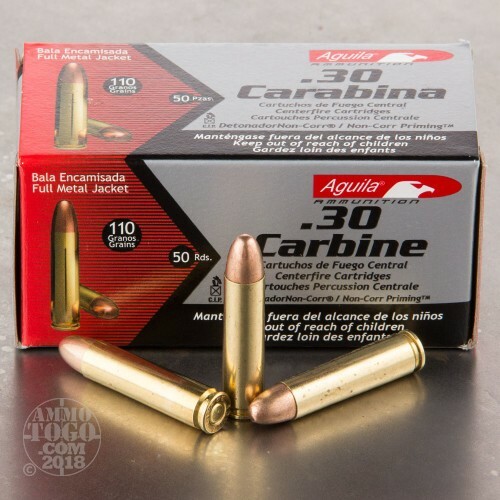 Offering great penetration with almost no expansion, these rounds are well-suited for target shooting, practice drills, and casual plinking. Using quality components, including propellants and primers, these loads perform reliably even in adverse weather conditions and are perfect for outdoor shooting. Leaving the muzzle at 1990 feet per second with 968 foot pounds of energy, these high-quality rounds cycle flawlessly and offer impressive consistency in accuracy and velocity. 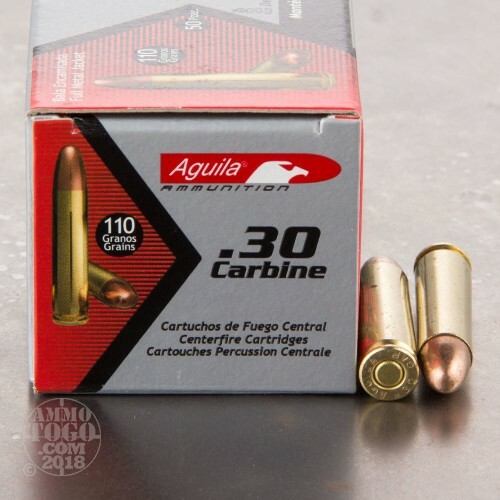 Fast delivery and great ammo. I shoot a Universal and it does a great job. Fired 50 rounds over the weekend and had no issues plinking. I didn't measure accuracy reliably so I'm sorry I can't share that. Decent ammo. Seems to be more weakly loaded than some of the other offerings, judging from the recoil impulse, but functions just fine. It leaves less fouling than the steel cased stuff, and is acceptably accurate. I've shot up a few hundred rounds of this now and had no dud rounds. Great ammo, clean and accurate. My M1 Carbine loves it some of the most accurate ammo I have shot through my carbine.